#criticalnutrition #popuplaundryhamper As most of us know as men age they are at higher risk for prostate problems. Saw Palmetto Fusion is a great supplement to address those issues. 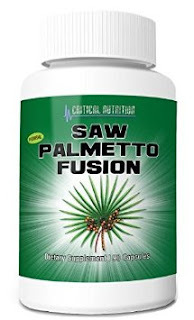 Saw Palmetto alone is great but when combined with Vitamin B6 and Zinc it's really powerful. It's great to reduce inflammation in the prostate which leads to being up and down all night to use the bathroom among other things. Plus this combination is also good for infections in the prostate. This is a supplement all men should use, in my opinion. 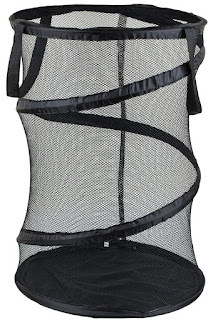 Next I'd like to tell you about The Folding Pop Up Laundry Hamper. This is a great space saver. It has carrying handles to make it easier to move from place to place, and it holds up to 3 loads of laundry. When popped up it measures 16" x 24" and when completely folded down it's only 1/2" thick. When the laundry is done just fold it down and slide it away until it's laundry time again. My son uses it all the time now. I received both these products for free in exchange for an honest unbiased review.